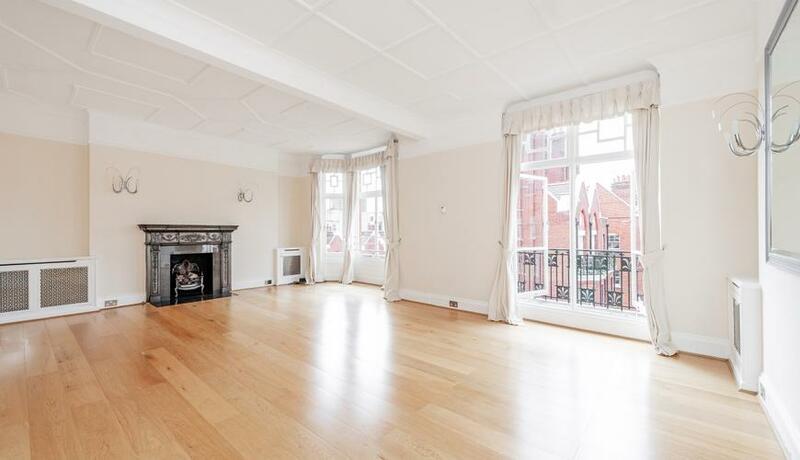 Beautifully presented four bedroom flat the third floor with lift in this portered red brick mansion block in the heart of Marylebone. Comprising a West facing double reception with two balconies and original features, separate eat-in family kitchen with built-in appliances, guest WC, three double bedrooms (one en-suite), family bathroom and a study room. 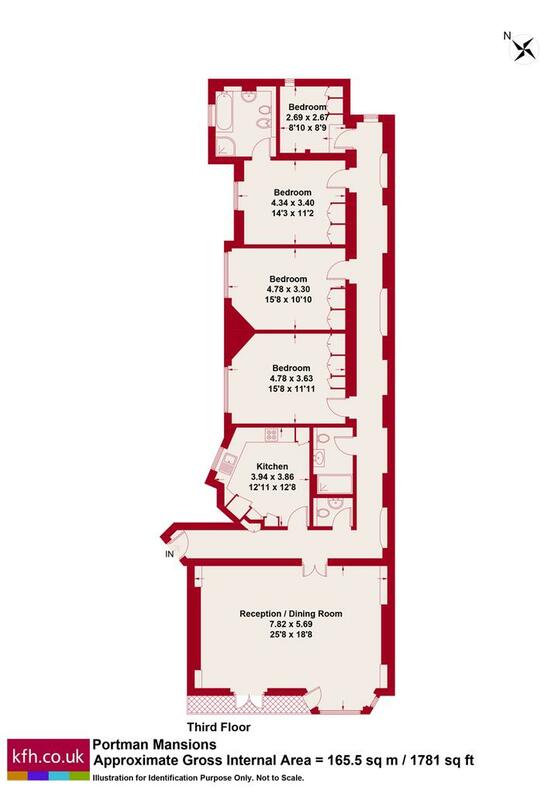 The flat benefits from built-in storage, wooden floors through out, proportional sized bedrooms, day porter, on-site leisure facilities and is conveniently located moments from Baker Street Underground Station and Marylebone High Street.